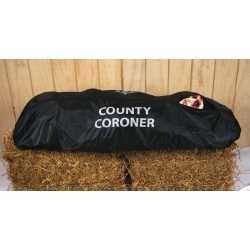 Straight from the morgue comes this Hanging Victims Head! 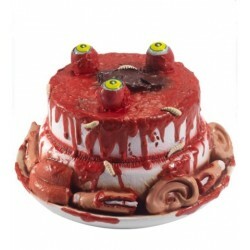 This villainous looking bogeyman makes a scary halloween decoration and just be thankfull you didnt meet him before he was decapitated! 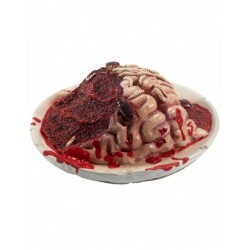 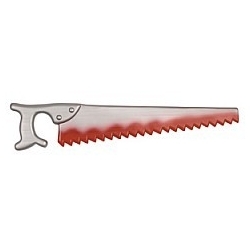 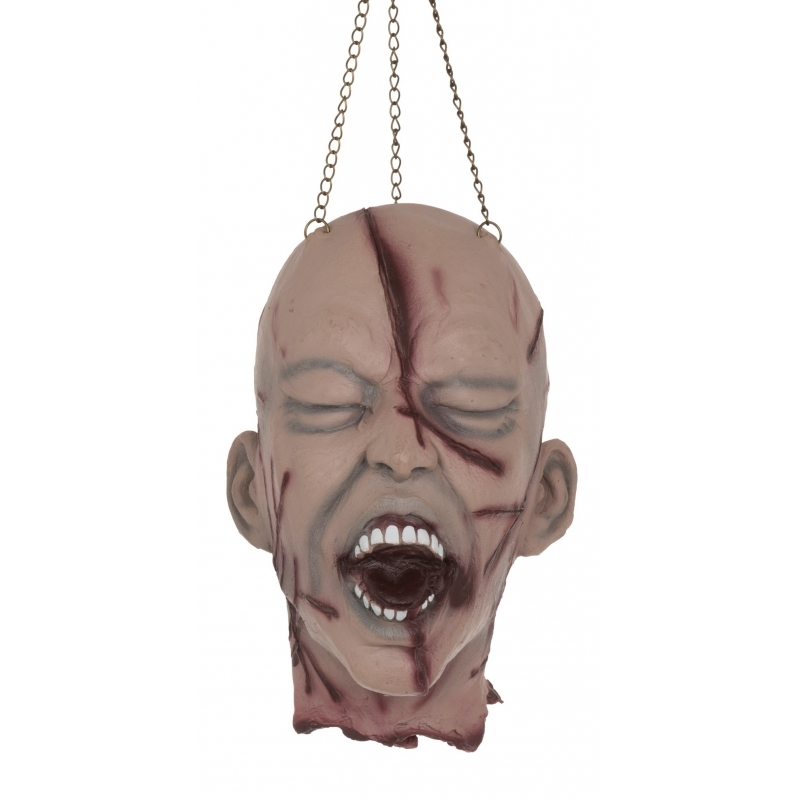 The Victims Head horror prop is made of latex rubber and has attached chains for hanging.